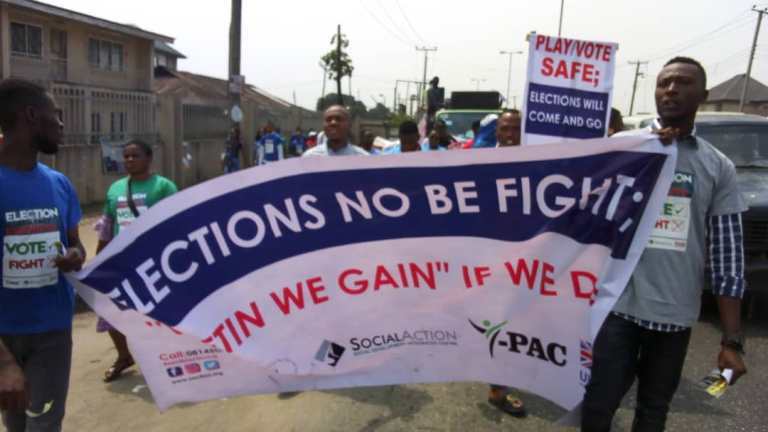 Speaking at the sideline of the rally, Peter Mazzi, a research officer in Social Action, said “People should come out with their Permanent Voters Card(PVC) and vote on February 16th and March 2nd,2019”. 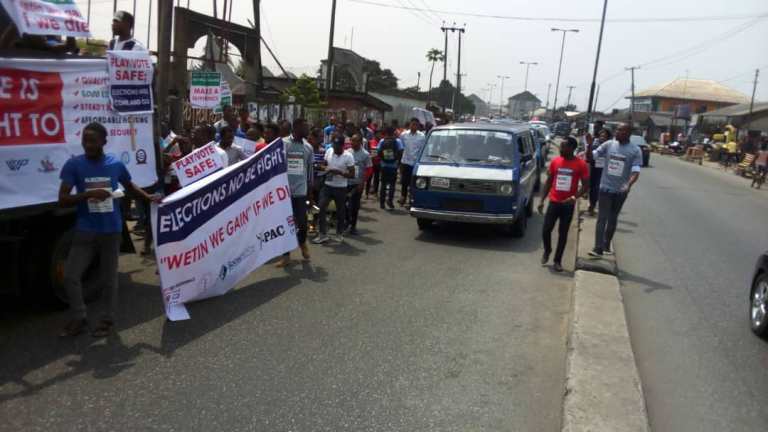 A representative of Independent Corrupt Practice Commission (ICPC) in Rivers state, Livinus Okonkwo in his remarks revealed that the agency is doing everything possible to stamp out corruption in electioneering process. 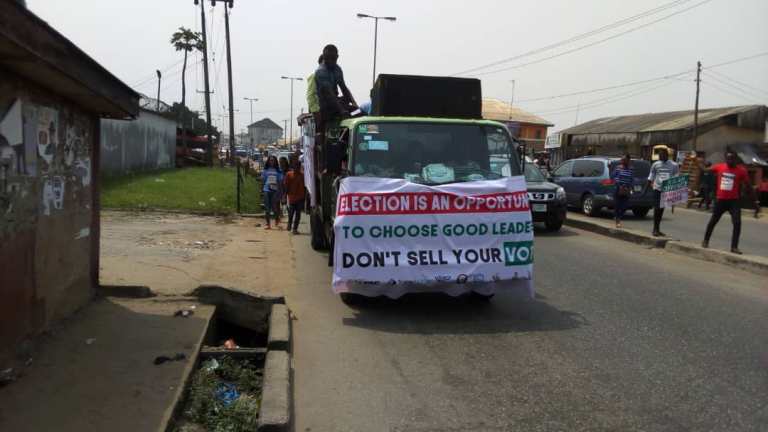 He advised the electorates, political parties and their candidates not to indulge in vote trading. 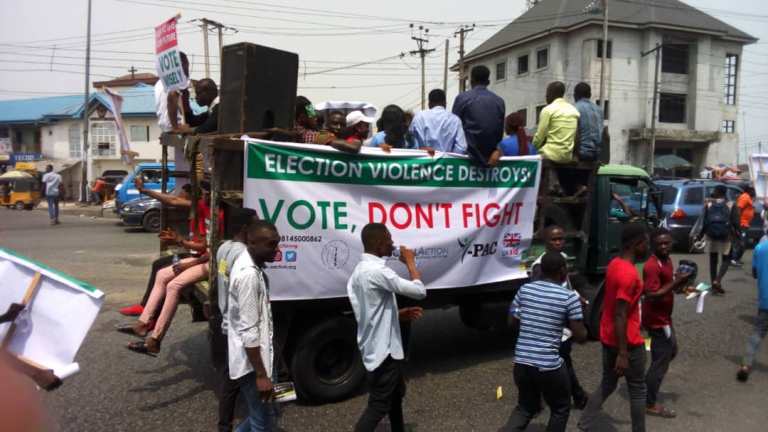 He said “any one caught indulging in vote trading will face the full wrath of the law”. 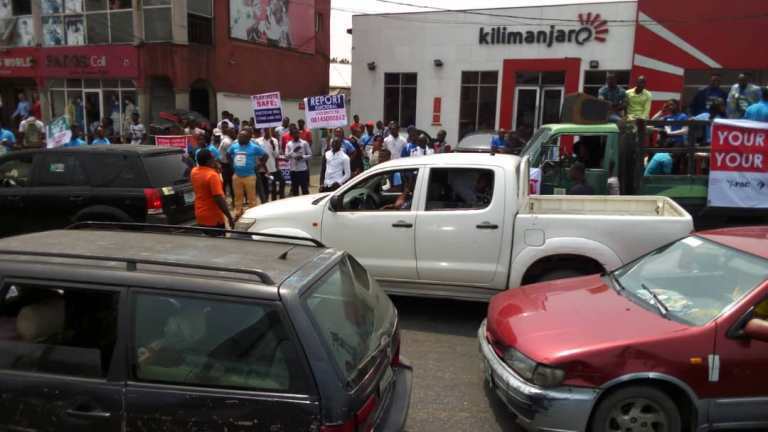 Highlights of the events were the distribution of flyers by participants to road users and traders. 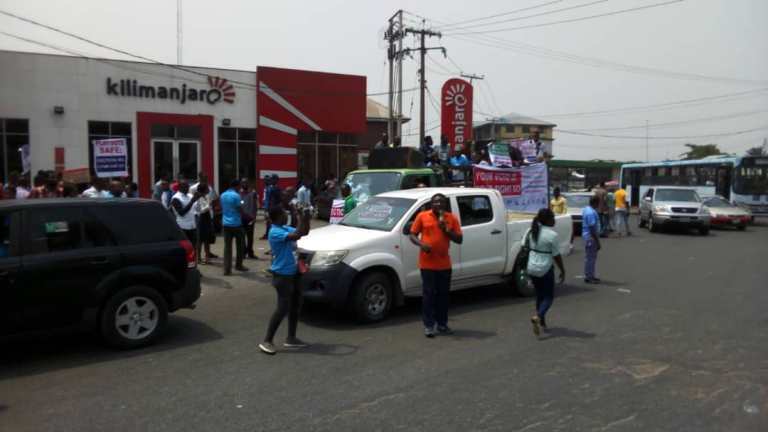 Revelation Agents correspondent reports that the rally started from College of Health Sciences at Agip flyover in Mile 4, Ikwerre road and terminated at Rumuola /Aba road.